The wall lamp Lumiere XXL and XXS characterise the space with its own dynamism, thanks to essential and brand new geometries, created with the expert craftsmanship of master glassmakers. Their movement is created by their strong lines and by the orientation of the upper surface of the diffuser, which lies oblique to the surface it rests on, as the result of a cut that sections the glass in a surprising and original way. By using multiple versions of the two dimensions or simply orientating the glass in a different way you can create an interplay of balance and lively compositions. The unprecedented simplicity of the wall lamp allows it to be integrated into a multitude of contexts: a perfect wall lamp in a range of settings, such as in a corridor, or even a bedside lamp. 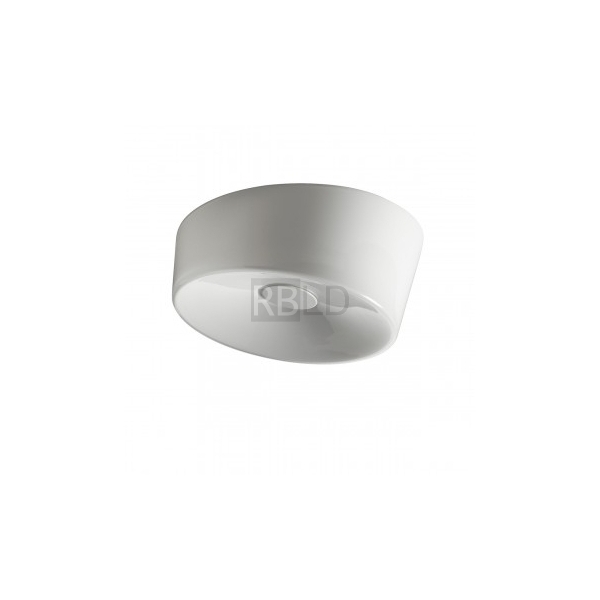 Wall or ceiling lamp with diffused light. 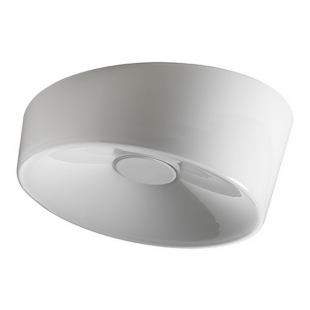 Handblown cased glass diffuser with glossy finish and oblique cut. Wall mounting plate and central element, which acts as a glass-lock, in epoxy powder coated metal, electronic ballast. Lumiere XXL is available in dimmer version.